Until recently, the topic of “public space and the democratization of public space” was mostly ignored in the public discourse from Moldova. The few debates that took place in different moments focused on a centralized approach linked to the political – historical perspective on the public space: the memory policy (the fate of the architectural and historical monuments and the need to install new monuments, the process of renaming the streets), the symbolic use of public space, etc. Simultaneously, due to the continuous effort of some cultural initiatives and local civic groups, the “public space” topic was more or less pushed into the public discourse, especially in Chisinau. 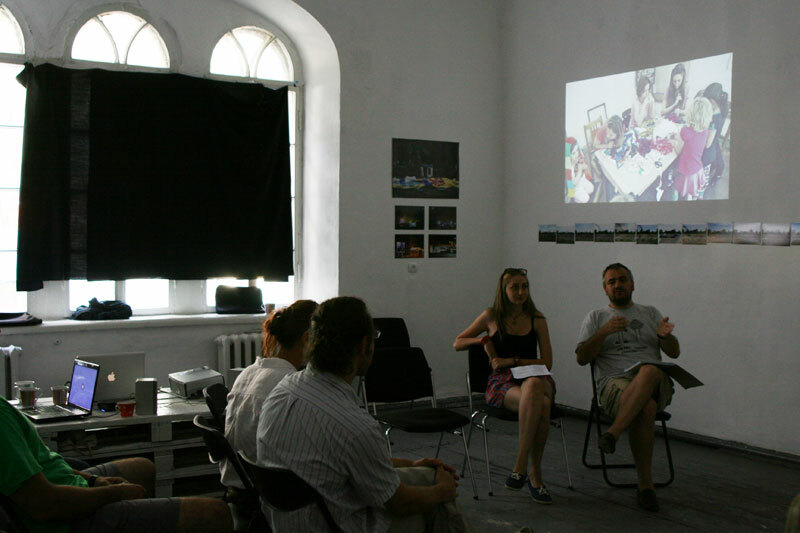 The artistic and the activist approaches have initiated a debate related to the deterioration process of public spaces in Chisinau – the chopping of green spaces, illegal constructions, the accrual of urban density in the apartment-blocks areas, the commercialization of public space, the fraudulent management of public property, etc. The event “Public Space Days”, organized by Oberliht Association, intends to connect these two different debates but also to start other necessary discussions about this post-socialist city in transformation. Together with the activists, artists, architects, the theoreticians, the jurists, the experts, the inhabitants of the city and the different level authorities policy makers, who will present different visions and approaches to the public space, we want to identify the role of art in the public space, and discuss the growth of the public space access opportunities for all social groups. The goal of the “Public Space Days” is to offer, to different stakeholders and different representatives of the public, a discussion whose aim is to raise awareness and take action on topics and initiatives concerning democratization, protection and opening the public space to citizens. In addition to the “Public Space Days” topics, which were previously announced, we want to strengthen the organizations, initiatives and persons local networks, and to connect those experts active in Moldova with their colleagues from other European countries. Also we intend to offer an event for Chisinau inhabitants and to its guests, by activating some public spaces, which are currently abandoned or under demolition danger. Additionally the project benefits from the support of the Ministry of Culture of the Republic of Moldova, the Culture Department of the Municipality of Chisinau, Austrian Cultural Forum and Adam Mickiewicz Institute from Warsaw. Oberliht Young Artist’s Association cordially invites you to attend the crowdfunding workshop that will take place on October 7, 2015, in Chisinau.This workshop is organized by the Oberliht Young Artist’s Association (Moldova) in collaboration with Goteo Foundation(Spain). The motivation for organizing this workshop resides in the need to develop, for various participants – artists, activists, civic initiatives – the ability to indentify feasible ways to rise resources in order to support their activities. Crowdfunding is an attractive complement to traditional funding. That is powerful! Crowdfunding is not only putting the power of fundraising into the hands of the people, but it’s permanently changing the financial ecosystem. It is also helping create viable communities of people around projects, it fosters social cehesion and shared responsibility. If you have a great idea, or think you do, crowdfunding may be the way to go – but you need to take steps to ensure you have all the important elements in place before looking for support and launching a campaign. – Theoretical and practical information about the different kinds of collective financing available, helping participants in a dynamic and practical way to get a handle on crowdfunding as a strategy both for financing their projects as well as promoting and generating community. – Introduction of key issues, how can be the criteria for campaigns evaluations and how can you make your projects more attractive. 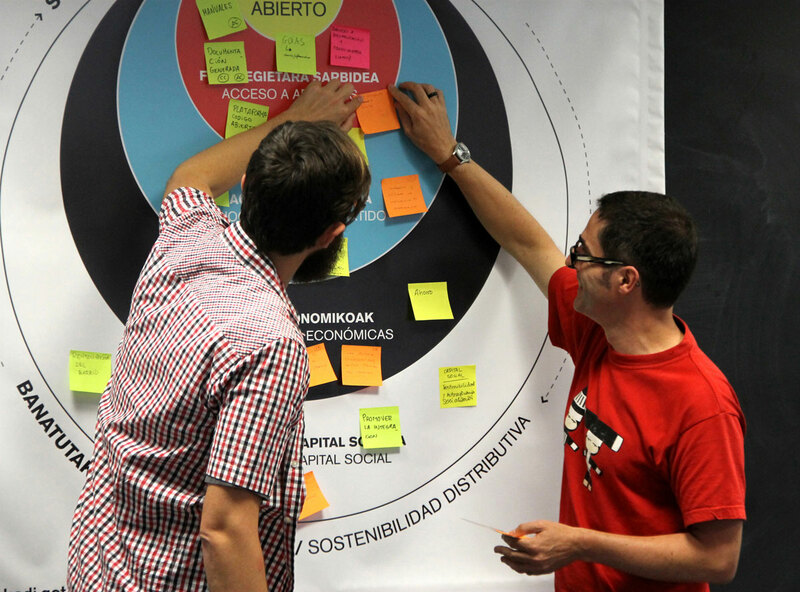 – Real tools that participants can use to measure the valuation of initiatives based on the level of innovation, level of proximity, coherence, etc. – Initiation to the way to present a project online and to give to it the widest possibilites for success. On the 8th of October 2015, between 9:00 AM and 12:00 AM, the Association of Young Artists Oberliht, Chisinau, organizes a workshop in the field of cultural policies, for cultural and urban NGOs and civic initiatives from Chisinau. The workshop “Increasing transparency in the field of culture” aims to elaborate, together with the representatives of these groups, initiatives and cultural associations, a conceptual document concerning the transparency of financing in the cultural sector in the Republic of Moldova (a draft of a law that would assure the transparent distribution of the budget for culture at local/national level). The conceptual document shall take as model the current legal frame from Romania in the field of financing cultural projects. We will especially study the stipulations of Law nr. 350/2005 concerning the regime of irredeemable financing from public funds allowed for nonprofit activities of general interest, modified and completed through Emergency Ordinance nr.84/2008 as well as General Ordinance nr.51/1998, adopted through Law nr. 245/2001, modified and completed by General Ordinance nr.2/2008, adopted through Law nr.199/2008. Later, this conceptual document shall be developed into a project of law which will be passed as a proposal of legislative initiative to the local and central public authorities of the Republic of Moldova. The workshop will be conducted in Romanian. The workshop “Increasing transparency in the field of culture” is organized as part of the Days of Public Space 2015 / a program of workshops, conferences, meetings and public debates joined by a cultural program, initiated in order to attract the attention of the wide public, of the civil society and public authorities on the need to protect and develop public spaces as part of a necessary democratic infrastructure. The ZSP program is supported by the European Cultural Foundation, as part of project Collective Action for the Commons: http://www.culturalfoundation.eu/thematic-focus/. On the 9th of October, 2015, between 9 AM and 4 PM, the Association of Young Artists Oberliht, Chisinau, organizes a workshop for juridical training for cultural / urban issues NGOs from Chisinau. The workshop “Legal instruments for urban activists” aims to train some of the members of the NGOs and of cultural / urban initiatives from Chisinau on issues related to the legislation in the field of urbanism, public space, normative frame concerning cultural, historical and architectural patrimony, access to justice, the procedure of authorization of construction works etc. Also, the activists will be instructed regarding some specific instruments and legal strategies: public-private partnership, the process of petitioning/requesting information, the action of contestation, the action of intervening in a lawsuit. The workshop “Legal instruments for urban activists” is organized as part of the Days of Public Space 2015 / a program of workshops, conferences, meetings and public debates joined by a cultural program, initiated in order to attract the attention of the wide public, of the civil society and public authorities on the need to protect and develop public spaces as part of a necessary democratic infrastructure. The ZSP program is supported by the European Cultural Foundation, as part of project Collective Action for the Commons: http://www.culturalfoundation.eu/thematic-focus/. 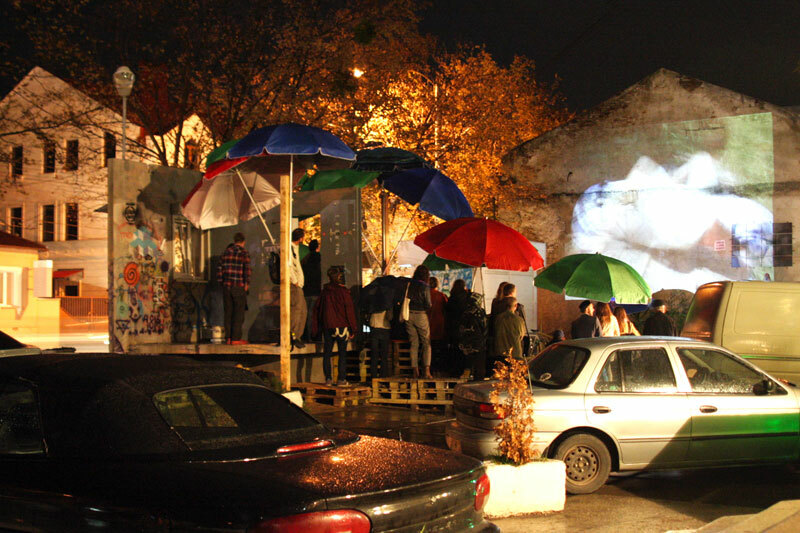 On the 9th of October, 2015, between 2 PM and 4 PM, the Association of Young Artists Oberliht, Chisinau invites to an interactive presentation on PublicSpace.Tools. Publicspace.tools is a digital toolkit about citizen empowerment for critical, creative, or unconventional uses of public space. It is an online, multilingual platform for Europe and beyond, intended to connect, visibilise, and promote good practices, and allows users to report on and prevent bad practices. This tool-kit is targeted at all users of public space, although we expect it to be especially useful to specific groups such as civil and urban rights groups, artists, architects, cultural managers and other groups that are active in public space and particularly vulnerable in legal terms. It is intended to support engagement with public space and to empower people to re-define and shape their shared environment. Motivation: The conference ”Right to the city/Right to culture” aims to investigate the changing landscapes of culture and democracy in the post-socialist city. It aims to foster reflection on the question: how can we – as cultural workers, citizens, scholars, activists, decision makers – create and develop a more inclusive democracy in the city, both in the political and cultural sphere? The dissolution of socialism in 1989 meant, for cities in the former socialist world, a massive change in the nature and the scope of public authority. On the one hand, powerful economic interests driven by local and transnational actors started to put more pressure on the governing bodies of cities, to the extent that many local administrations are acting now in order to accommodate the interests of the ”business” in the city in the first place, rather than protecting the public interest of the citizens of the city. These private-political alliances (called mistakenly private-public) have lead to the exclusion of the citizens from the decision-making process. We frame this problem under the term: right to the city. On the other hand, because of the reduction of funds for culture but also inherited models of organizing the cultural process or political-ideological preferences, local administrations have usually supported only certain forms of culture (organized by Creative Unions, for example, putting emphasis on folklore and conventional art forms), while totally neglecting contemporary art practices such as public art and artistic interventions, community art projects, contemporary dance, performance etc. Very often cities lack transparent mechanisms about the way in which the scarce resources for culture are being allocated. As a result, the independent cultural sector is underfunded and left on its own. We frame this issue under the term: right to culture. Tentative topics: What is right to the city? How can we increase the participation of citizens in the decision making process from the level of neighborhood to the level of the entire city? How can we increase the transparency of authorities? How can we make the institutions more open to dialogue and more responsive to demands from citizens? What kind of new institutions can we imagine for the right to the city to become a reality? What is the role of culture in the advancement of democracy in the city? How can independent culture become a powerful tool for social change? How to provide everyone free, unlimited and sustainable access to cultural goods? What are the best practices to ensure the sustainability of the independent cultural sector? These questions (and the attempts to answer them) are the subject of the conference ”Right to the city/Right to culture” which is to be held in Chisinau, on October 8th, 2015. Aim. The purpose of this conference is to bring together policymakers, activists, cultural workers, practitioners and scholars involved in the right to the city/right to culture movements. They will share their ideas, experiences and insights on topics such as democratic urban policies, social control and transparency, institutional innovation on governance level, the commons, culture and democracy in the city. The aim of this event is twofold. On the one hand it should help introduce these topics on the Chisinau public agenda. Local activists, cultural workers and policymakers will get familiar with the topics and practices related to the right to the city. In this way a connection between the Chisinau context and regional experiences and practices will be realized. On the other hand, the event will help build bridges and networks of collaboration between local activists and activists from other regions.